This breathtaking 9 Light Chandelier with Brown Finish is a beautiful piece from our Campechia Collection. With its sophisticated beauty and stunning details, it is sure to add the perfect touch to your dicor. This breathtaking 12 Light Chandelier with Brown Finish is a beautiful piece from our Campechia Collection. With its sophisticated beauty and stunning details, it is sure to add the perfect touch to your dicor. 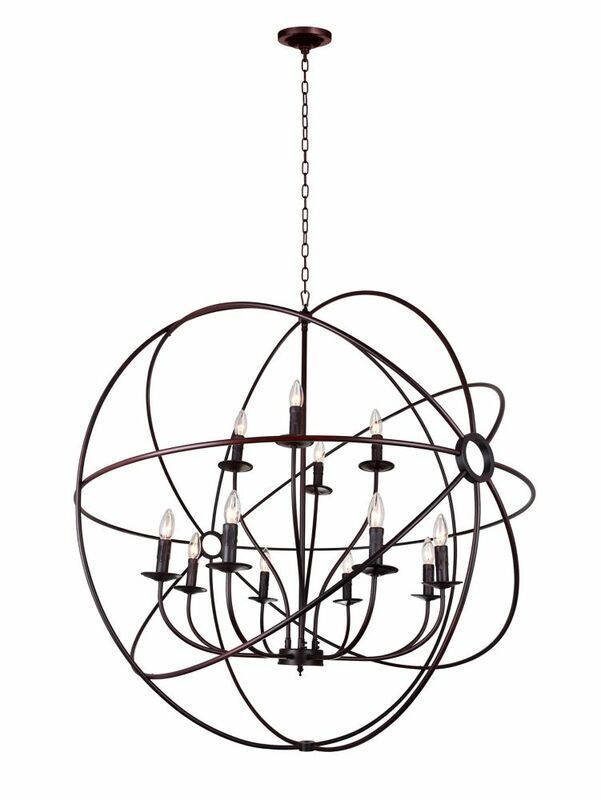 This breathtaking 1 Light Chandelier with Oil Rubbed Brown Finish is a beautiful piece from our Danielle Collection. With its sophisticated beauty and stunning details, it is sure to add the perfect touch to your dicor. This breathtaking 2 Light Chandelier with Oil Rubbed Brown Finish is a beautiful piece from our Danielle Collection. With its sophisticated beauty and stunning details, it is sure to add the perfect touch to your dicor. 12 Light Chandelier With Brown Finish is rated 5.0 out of 5 by 1. Rated 5 out of 5 by MountainGirl from Gorgeous light fixture! I was worried this chandelier would be too large for our living room, how... Gorgeous light fixture! I was worried this chandelier would be too large for our living room, however, with 20 ft ceilings, it fills the space perfectly. The installation instructions were limited; we ended up hiring an electrician to install this and he had no problems. Are there replacement LED bulbs for these incandescent bulbs? The bulbs are not included with this fixture. However you can use incandescent bulbs or LED bulbs with it (sold separately).